Well, it is almost here…after two years of work and a lot of wonderful people donating their time, talent and enthusiasm, the THIRTEEN audiobook anthology is being released on 24th August 2013. 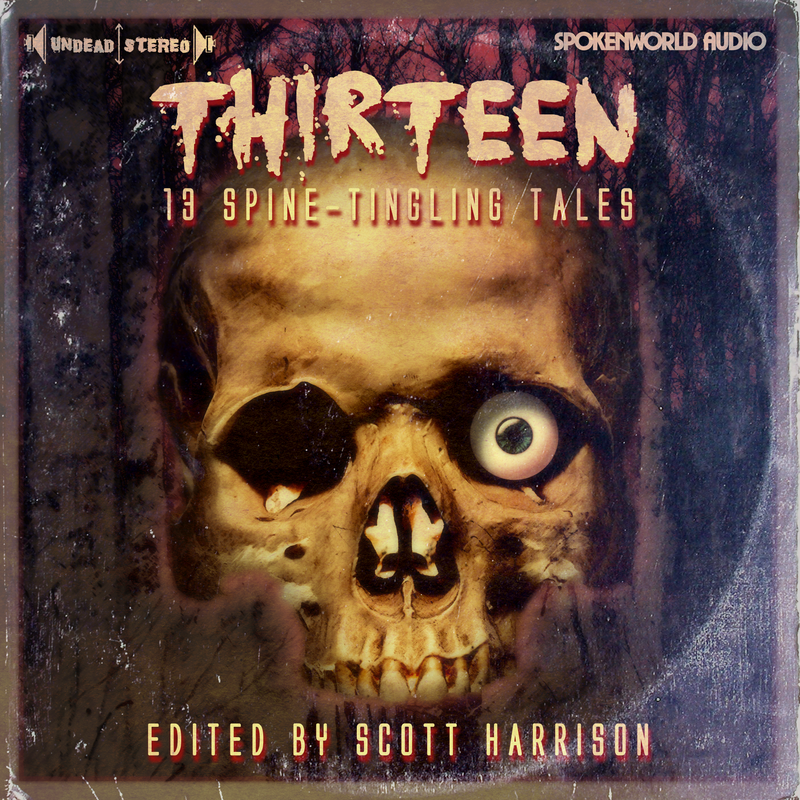 Edited by the mighty Scott Harrison (TWEET HERE), and recorded & produced by me, published by my Spokenworld Audio company (CLICK HERE) THIRTEEN contains 13 (well, obviously!) spine-tingling tales of terror, new short stories by some of our biggest and most beloved genre authors, read by some truly epic acting names. THIRTEEN is an experiment to see how popular audiobook anthologies could be. We already know genre fans love printed and e-book anthologies, so we hope the same will be true for audiobooks. If we get good sales and support we hope to attract funding and backing from the likes of Audible to enable to release several anthologies every year. Gaze upon its beauty and loveliness…the single-eyed skull reminds me a little of the old ITV kid’s show Knightmare! It oozes 1970s Pan vibes. Hopefully you’ll forgive us the UNDEAD STEREO pun…all those old LPs used to say LIVING STEREO, so we just couldn’t help ourselves. Matt is a certified deity of cover art…flood him with commissions, he is worth every damn penny you spend!